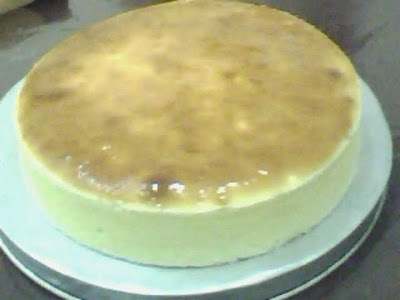 1.Beat cream cheese and castor sugar until smooth, slowly add in egg yolk then follow by whipping cream, finally corn flour mix, remove and put aside. 2. Whisk meringue egg white and sugar, slowly fold into the cheese mix, put aside. Wrap up the cake ring with aluminum foil. 3. Place the sponge at the bottom of the cake ring. Pour in the cheese mix. Bake at oven 170 degree for 50-60minutes. 4. 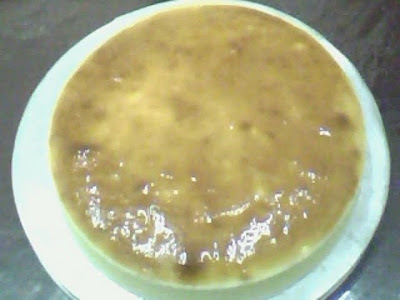 Boil jelfix with 50g of water until boiling then brush on top the cheese cake. 1. Whisk egg and sugar until light and foamy. Manually fold in flour. 2. Pour the mix onto 12” x 16” tray spread evenly. 3. Bake 210 degree for 12 minutes.